I know Kiwi readers are going to have a hard time dragging themselves away from TV coverage of the London Olympics – and our current ranking in the medal tables – but it’s worth putting in an effort early Monday evening for the planned landing of Curiosity on Mars. This is scheduled for 5.31 pm New Zealand time – between the reruns of New Zealand Olympic triumphs on afternoon TV and live coverage of the new days activity in the evening. There will be a number of sites streaming live coverage, but the NASA TV is a safe bet. When I say live – it will be live coverage of the the scientists and engineers behind the attempt, and their reaction to incoming data. There is a camera on board the probe which will record video but that won’t arrive on earth for a few days. But those scientists and engineers are going to be pretty emotional – it will be a bit like one of those attempts at Olympic gold medals we have followed lately. I imagine that space enthusiasts around the world will be organising their own parties and venues to follow coverage. NASA coverage will even be broadcast publicly in Times Square, New York. OK, landing is at 1:30 am local time – but they say New York is the city that never sleeps. 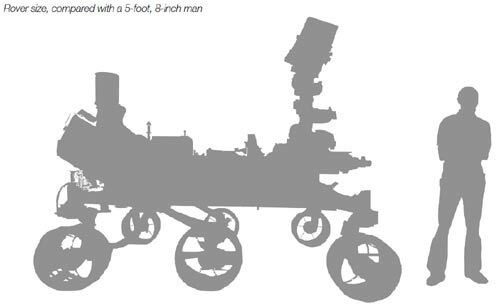 It’s really a mobile laboratory and will search for any evidence of past or present habitable environments in the Gale Crater area. 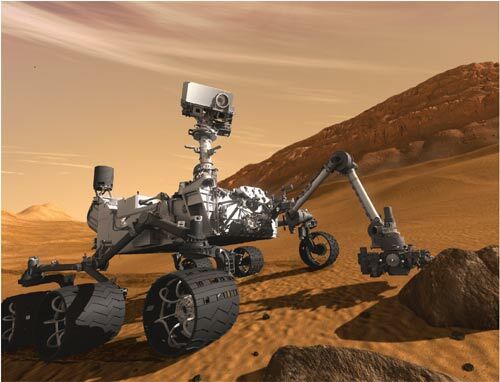 Curiosity has mast-mounted instruments for surveying its surroundings and identifying potential sampling targets. Instruments on its robotic arm will enable close-up inspections. Sample of rock, soil and atmosphere will be analysed by instruments inside the rover. Even during its descent sensors on the heat shield will collect information on the atmosphere. Curiosity’s initial planned programme provides for 1 year of investigations, and may be extended depending on funding and performance. It’s going to be fascinating to see what this rover discovers. Discovery of life, or potential habitats for life, or even evidence of past life will create wide interest. But even negative results will give valuable insight into the similarities and differences between early Mars and early earth. Let’s not forget that there is always a large team behind space probes and rovers like this. 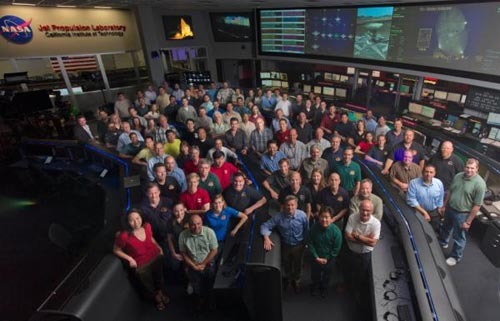 The photo below showing 2/3rds of the team behind Curiosity give some idea of its size. And for those who love toys – Mattel Inc., who manufacture a die-cast line of Hot Wheels toy cars, is ready to release the car-size Curiosity as its latest 1:64 scale miniature in September. 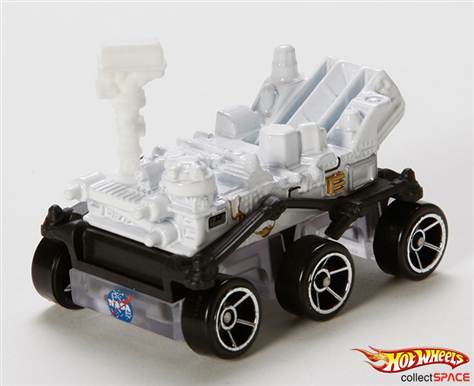 The Hot Wheels “Mars Rover Curiosity” set is part of Mattel’s assortment of 247 toy cars for 2012.